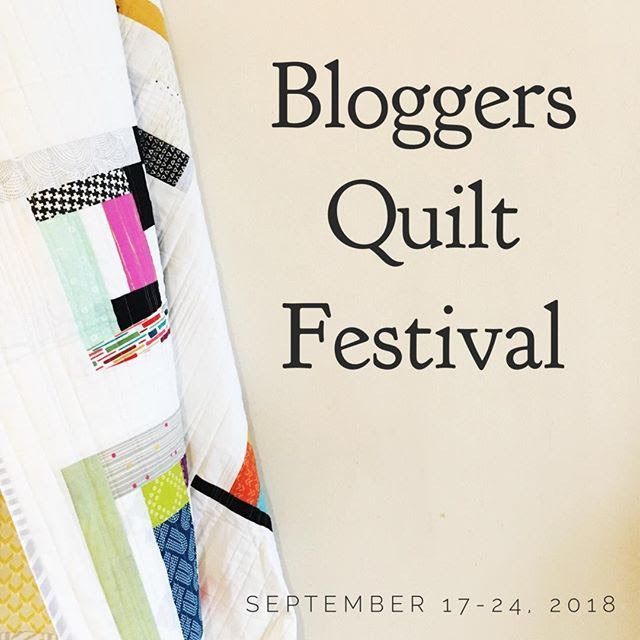 A warm welcome to all those who are visiting from Amy's Creative Side's Fall Bloggers Quilt Festival! Glad to have to you hear! I hope you stay and poke around. Earlier this month, I set my One Monthly Goal this quilt, which has been on my to-do queue for several years, ever since I saw this floating boy on Facebook. I have reverse photo searched, Facebook-stalked and looked high and low for the source of this photo to no avail. If you know the quilter who made this quilt, please let me know in the comments so I can give proper credit. I am drawn to illusion quilts, which is ironic because I often deal with vertigo as a result of my traumatic brain injury. There is something in me that loves the challenge of making sense of things that mess with the brain! Speaking of making sense of things, the recipient of this quilt is D's school counselor Mrs. Knoch. D has matured so much over the last two years since he started meeting with her. When big emotions overwhelm him, I see him intentionally trying to put the techniques he's learned into practice. 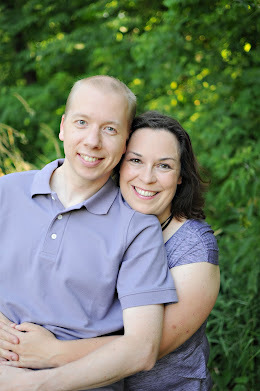 She has helped me, too, to better understand how his unique brain works and how to help him with the things that challenge him. This is D's last year in his school and I am trying hard to make quilts for many of the special staff who have made his years there so wonderful. 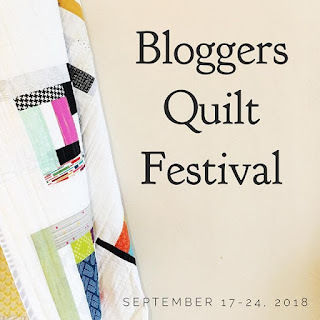 You can see photos of the seven quilts I have made so far on my September One Monthly Goal post. I usually post the label last, but in this case, it helps explain why I choose this pattern for a school counselor. 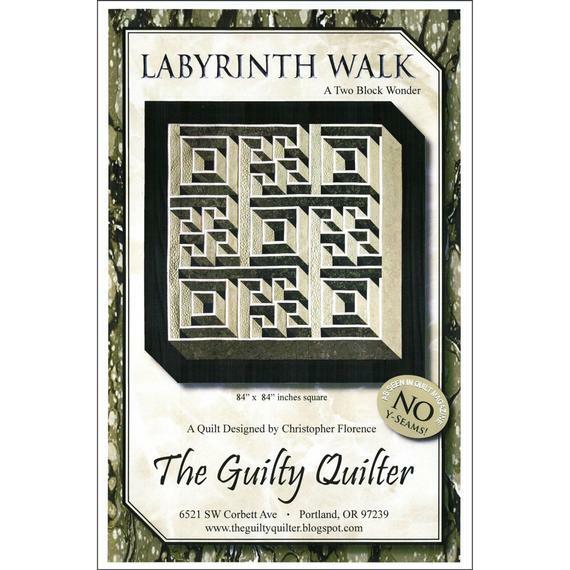 The quilt is called Labyrinth Walk, and was designed by Christopher Florence, aka the Guilty Quilter. I chose red, black, gray, and white for my quilt because Red is Mrs. Knoch's favorite color. Each of the prints has a metallic silver element to it. The pattern is very well written, but it had to mess with me a little bit. After cutting all my pieces, and making the sub-parts, I checked to make sure that I had all the elements in all the right amounts. I was missing one pieced section. I checked through my project box again. Still missing. One more time, I took everything out and systematically went through the list. Still missing. Fine. I'll make another set. A few days later, I finished piecing the quilt and what was left on my table? As soon as I finished the first block, I knew I was going to love this quilt. 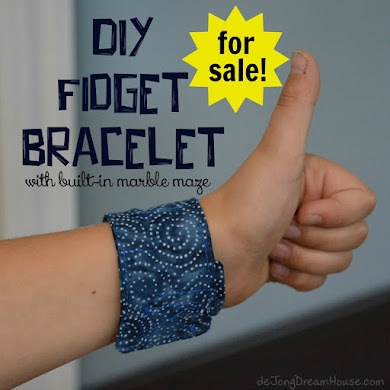 Other than a few pieces playing hide and seek, and a few times I kicked myself for choosing two directional prints, the piecing went together really easily. Tons of quilters have made this pattern, and I think there have been a ton of different ways that it has been quilted. I decided not to do a spiral as I have done for the last few quilts. I quilt on my domestic machine, and am just learning free motion. 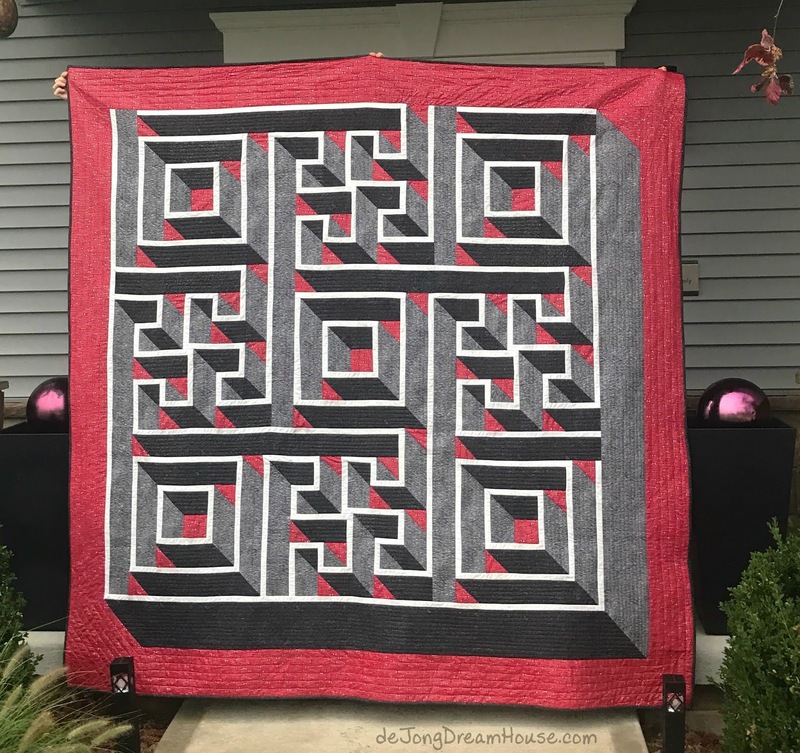 I'm far from confident enough to free motion a quilt, I decided to quilt straight lines on the gray and black pieces, the gray in one direction, the black in the other. I was a 1/4 through the gray lines I started with when I realized that it was an ambitious idea to sew lines 1/2" apart. It took about four times as long to quilt as it did to piece! It took me a few days to catch my breath after quilting before I could face trimming the threads on the back. The nice thing about a spiral quilting is that you only have one thread to clip on the back. This one had...more. As I was clipping, I was thinking about the work Mrs. Knoch does with the kids at our school. How she helps them when they are overwhelmed. How she teaches them techniques to persevere and find success. I thought about my son and how hard he has worked to do the hard things. How proud I am of him for pushing through his fears and frustrations, for the confident, happy, brave boy he is. How grateful I am that he is in this school with teachers who get him, and a counselor he adores. And before I knew it, I was done! As always, D is the first to sleep with one of my quilts. 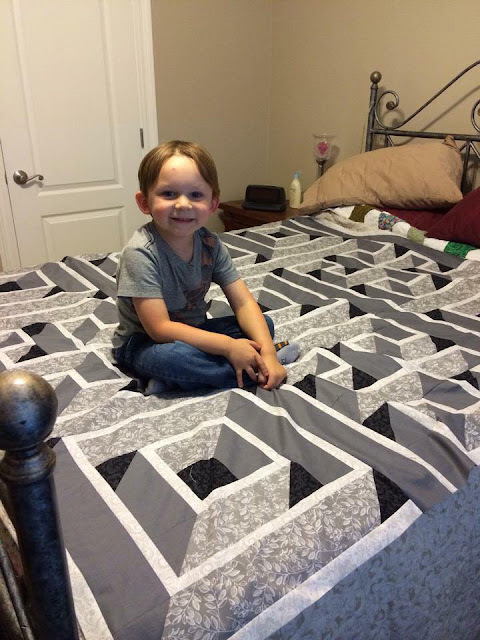 He has done it since he was four and I made my first quilt, for him. It's how he adds his love to my quilts. ...you get four-footed photo bombers. We ended up finding her in the hallway before class so we gave it to her there. It made my heart sing that before she even saw it she said, "I love it already!" To see more pictures of the making of this quilt, check out #KnochWalkQuilt on Instagram. 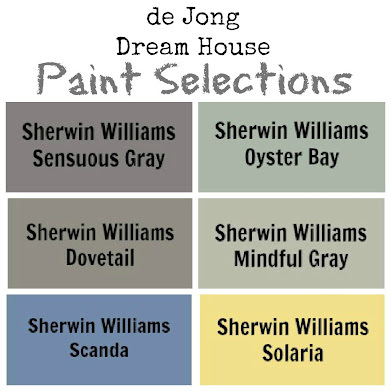 To see what I'm currently working on, follow me on at deJongDreamHouse. Oh WOW! What an amazing quilt! Thank you for sharing it with us. I absolutely love it and I'm sure the recipient is over the moon! This turned out really lovely and the illusion is great. 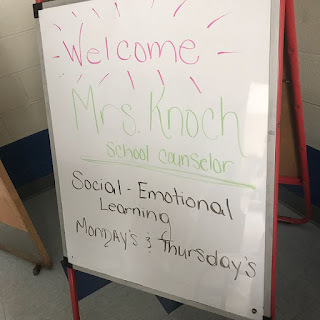 Oh boy I wish every school had a Mrs Koch! What a gift she is. Lovely wil quilt as always. Thanks for sharing this on Wednesday Wait Loss. Such a cool quilt! You could loose yourself in it's three-dimensionality! Thanks for sharing this on my special school Wednesday Wait Loss! This is really cool! What a wonderful gift. You did such a lovely job on it! I have wanted to make that quilt for years and your quilt turned out so perfect!!! 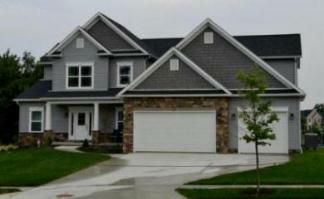 The colors and fabrics you chose were absolutely perfect!!! This is such an amazing quilt! Love it! This a pretty amazing quilt! It's mesmerizing and gorgeous! I love the tradition of your son sleeping with each of your quilts first...I'm sure this quilt will bring many happy memories in it's new home too! You did an awesome job, and what a wonderful gift to give! That quilt is truly amazing! And gifting it to someone who has gifted your family is beautiful. What an awesome quilt! I love the label you made for her, and this really turned out great in your fabrics. What a special quilt in every way! I think I may just have to add it to my miles long "To Do" list! Amazing. A quilt to be treasured forever. This pattern has been in my to-do list for years! Yours looks perfect - I love the red background peeping out behind the labyrinth. I love all your fabric choices too. 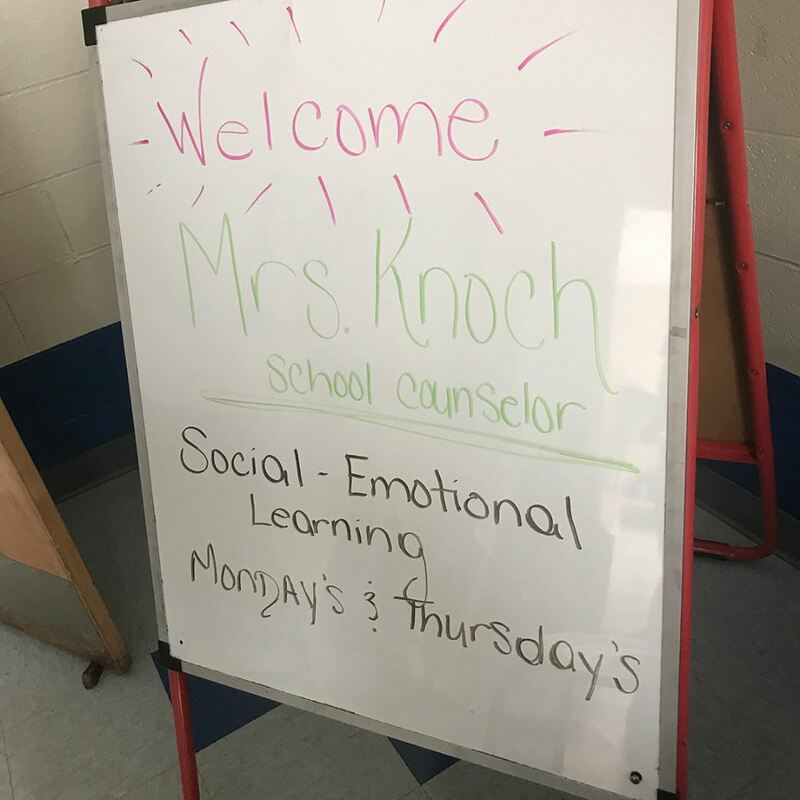 Very nice of you to make it for Mrs.Knoch. People like are so important for our kids! It makes me happy to read about people in the education arena who truly help children learn to live life, which can be so difficult for so many reasons. You are very special to spend so much time showing appreciation to these people who are such wonderful additions to your child's life.